With the Ashes just over a week away, the English Cricket Board has announced a major overhaul of its online offerings, including a new version of its popular iPhone cricket app and an Android version on the way. The ECB is keen to keep up with technology and has updated its website so that it works better on mobiles. But if the new website is a cover drive for four, it's the Apps that provide a couple of Sixes – with the popular iPhone app getting an overhaul and the promise of an Android app as well. 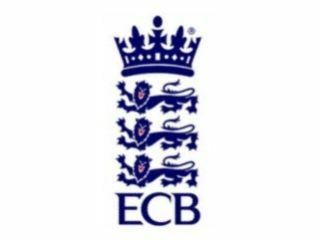 "We had a fantastic response from the public to the launch of our dedicated iPhone application last year and the challenge now is to target yet more cricket followers with the most up-to-date and comprehensive service available," said ECB Director of Marketing and Communications Steve Elworthy. "There are an estimated nine million cricket fans in the country and with around 800,000 children under the age of 18 playing the game, it's more important than ever that we use new technology to present the sport in an engaging and compelling fashion. "With London-based digital agency the OTHER media we have developed a suite of products keeping fans up-to-date with the latest scores, video and news whenever they want them and wherever they are in the world. "And all this comes just in time for The Ashes, one of the most important events in the cricketing calendar." So, if you know your googly from your silly mid-offs then this is certainly good news.